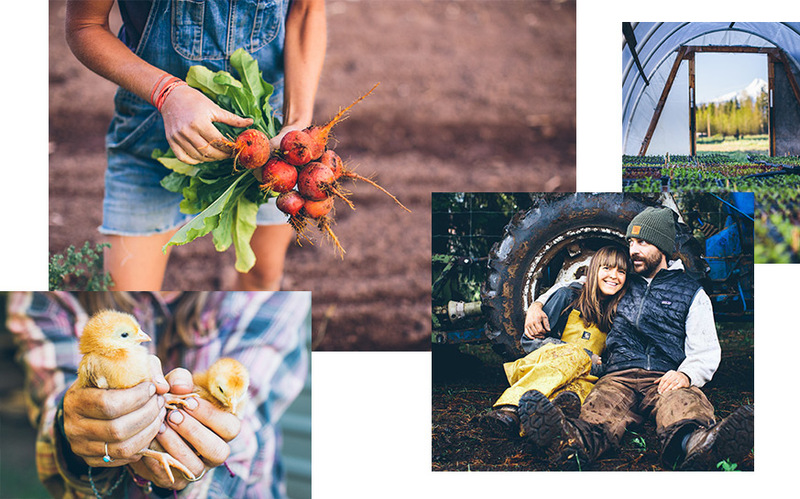 A farmer turned foodie, Andrea Bemis is truly manifesting the farm-to-table lifestyle. 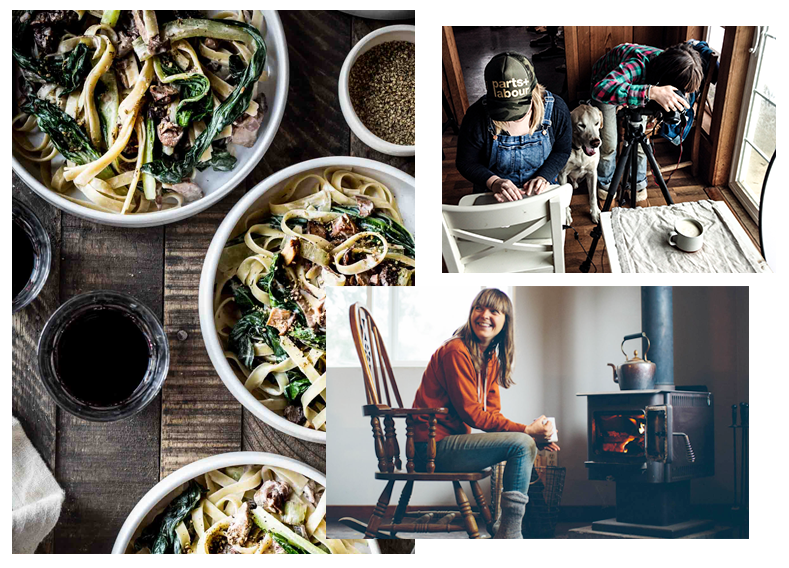 Here she shares her delicious recipe creations and adventures on her farm in Parkdale, Oregon. In 2008, Andrea and her husband (then boyfriend) Taylor moved from Oregon to Massachusetts to work on his family's 60-acre organic vegetable farm. They'd been working minimum wage jobs back in Oregon and were living just to have fun. However, after a few years of carefree adventure they were yearning to do something more meaningful. They packed their bags and turned the steering wheel East to Hutchins Farm. For the past 8 years Andrea has been documenting their life as farmers and home cooks. After back-breaking days spent hunched over the dirt they’d go home and cook a meal using all of the wonderful produce they had tirelessly grown. Life was simple. They were happy. However, after 3 years on a large-scale operation they decided they wanted to take a risk and branch out on their own. They once again packed up all their belongings, dog (Henry) and all of their kitchen gadgets and moved back to Oregon to start something for themselves. In 2012, Andrea and Taylor purchased 6 acres of land in beautiful Parkdale, Oregon and named it Tumbleweed Farm--an ode to the wanderlust life they'd previously lived throughout their twenty's. Tumbleweed has been the biggest undertaking of their lives and they have been tested in more ways than they could have imagined. However, between the endless hours of working the land, producing food, and cultivating a community of customers, they've somehow found a rhythm and good routine. They love growing with the farm seasons-- learning, trying new things and most of all, growing delicious, organic veggies for their CSA, local farmers markets, restaurants, and of course, Andrea's evening cooking. Becoming a farmer sparked Andrea’s passion for healthy fresh food. Working with those vegetables and other local ingredients made her truly realize how food tastes best when eaten fresh and in season. Sharing her recipe creations continues to be her sole driving principle for Dishing Up the Dirt. Andrea may not be trained professionally but her passion for cooking, feeding loved ones, and documenting her process has been her dream job realized. The hope for this website is to encourage folks to buy fresh, in season ingredients that are not only healthy, but something to be proud of when dishing up a meal for family, friends and strangers alike. I love getting your emails! However, when we are in mid-harvest or farm duties call, my response time may be longer than we both would like — apologies in advance. 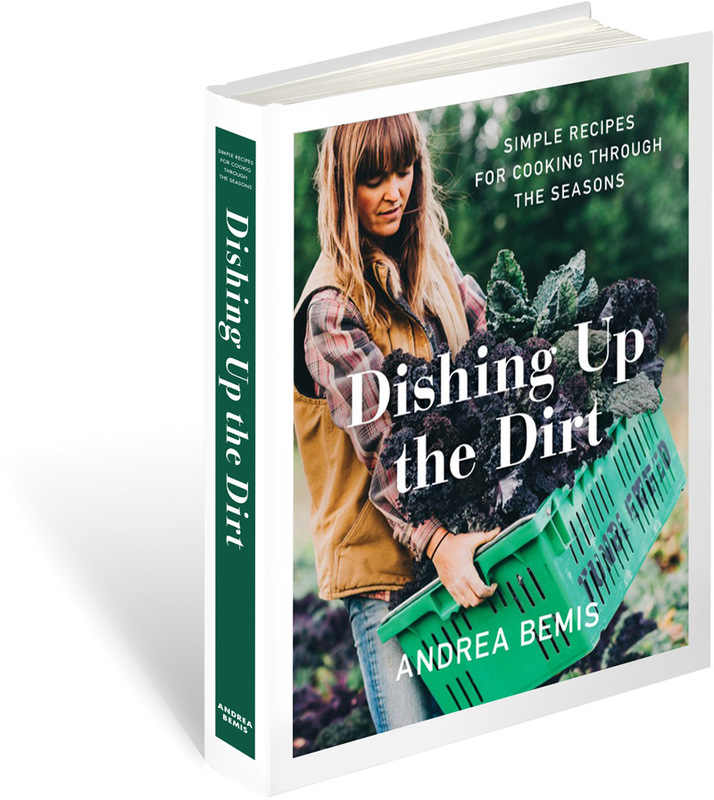 Looking forward to hearing from you and dishing up the dirt together!